A Christmas ad for Amazon that aired in the UK has upset some parents, who say it ruins the holiday for their kids. Editor’s note: This story includes a frank discussion about Santa Claus. While we at TODAY know that Santa is absolutely real, we would not want to end up on the Naughty List by divulging any sensitive information to younger audiences. So please take care before reading this story. A new ad from Amazon has some parents up in arms, saying that the online retailer has ruined the spirit of Christmas with its latest campaign. 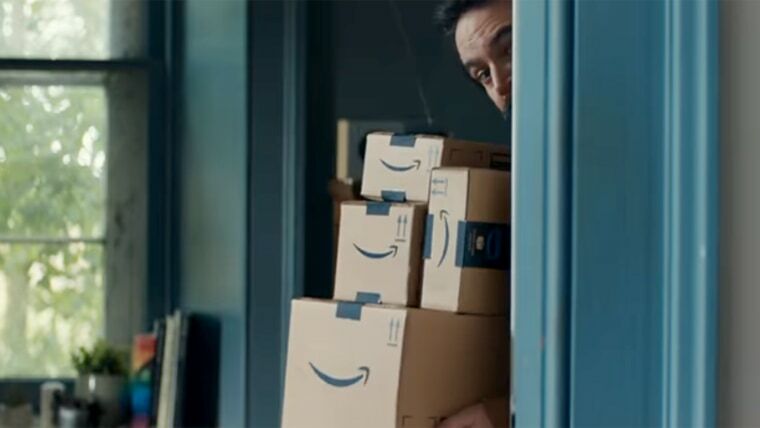 A commercial which aired in the UK shows a dad sneaking Amazon packages past his kids, implying to some that it is parents — not Santa Claus — who deliver gifts. According to Business Insider, parents have taken to Twitter to vent their frustration. “Thanks @amazon for your advert my 3 year old is asking why the man is hiding with presents, asking if he’s Santa” read a tweet from @sophie21white that has since been deleted. Not everyone agrees that there's a problem with the ad. "I think we're too quick to toss around the 'controversy' label," said Ryerson Kipp, Chief Creative Officer of public-relations agency The DSM Group. "Amazon has already shown their ability to handle relatively sensitive subjects with tact and I think this ad is no different. It's real, and as a result, it will resonate with its intended audience and that's worth something." Kipp says that some parents may want to downplay the ad's message, which "their little bundles of future Amazon shoppers may or may not even understand in the first place." "This is our job as parents and certainly not that of an advertiser. Because of that, I believe Amazon should handle this by being unapologetic — defend a good spot for what it is."